Bridging our past with the future by preserving our heritage in the present. Railroad trestle over the River Zschopau. Double barrel concrete bridge. How old do you think it is? A 190-year old stone arch bridge over the Zschopau. Rehabbed as recently as last year. A real beauty. Natural Bridges. There is something unique about them, regarding their size and form. These naturally arched structures were formed millions of years ago, thanks to volcanic eruptions combined with years of erosion due to rain and wind. As the years roll by, these structures become more unique, making them more attractive for tourists to see. Natural bridges can take the form of a simple arch standing alone, like the Gateway Arch in St. Louis. But there are others like this one that also has the function of a simple arch bridge. This mystery bridge takes us to the island of Mallorca, located approximately 250 km off the coast of Spain, and in particular, the Pont de Cala Varques. 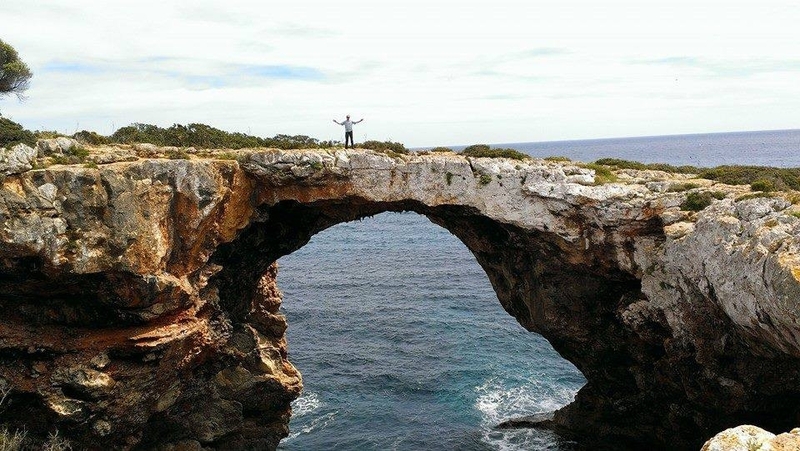 This natural bridge is located east Manacor, according to sources, but where exactly is unknown. As seen in the photo taken by Po Keung, the size and length of the natural bridge is huge. From the Atlantic Ocean to the keystone of the arch, it is estimated to be 40 meters high. To the path where the person is standing, add another three meters. The length of the bridge is estimated to be 40 meters long. It is unknown about the width of the bridge, but it appears to be between three and six meters wide. 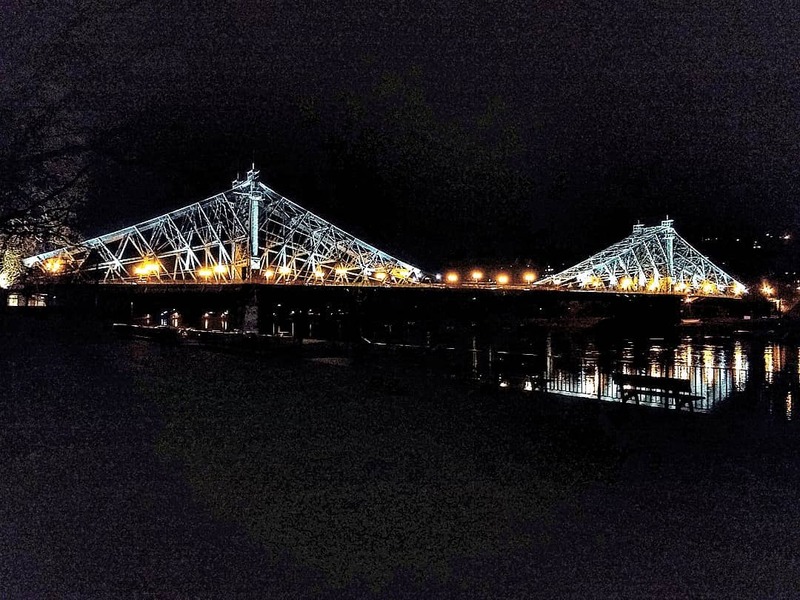 Not much more information is known about the bridge, apart from the estimates, which leads to some questions about the bridge. In particular, what type of rock formation does this bridge have, how long ago was this bridge formed, how was it formed, who first discovered this bridge, and are there any exact measurements? Any ideas? Post your thoughts, comments and facts, so that we can find out more about this natural bridge. It is of utmost importance that a sign with some information on the formation of the natural bridge is posted for many to see and enjoy. Mallorca may be the place to party, but the island has a lot of places of natural interest to see. This bridge is one of them. It is beautiful, provides a great view of the ocean, and one can awe in its size and wonder. Travel Blog - Travel with me around the world; the way is the destination - Buen Camino! Germany is more than you might think. Photography of David A. Parker.